Fong, B. (2010a). 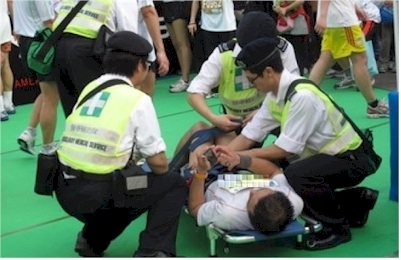 Review of Medical Encounters in the 2007 Hong Kong Marathon. In B. Fong and H. O. Wai (Eds. ), Marathon in Hong Kong: Challenges and Health, pp 87-98. Hong Kong: The Chinese University Press. Fong, B. (2010b). Issues of the Marathon: A Review. In B. Fong and H. O. Wai (Eds. ), Marathon in Hong Kong: Challenges and Health, pp 9-22. Hong Kong: The Chinese University Press. Wai, H. O. & Chan, M. C. (2010). The Hong Kong Experience: 1997-2009. In B. Fong and H. O. Wai (Eds. ), Marathon in Hong Kong: Challenges and Health, pp 31-40. Hong Kong: The Chinese University Press. Yeung, S. (2010). Marathon Running in Hong Kong - A Runner's Perspective. In B. Fong and H. O. Wai (Eds. 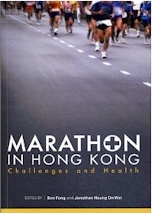 ), Marathon in Hong Kong: Challenges and Health, pp 51-58. Hong Kong: The Chinese University Press.